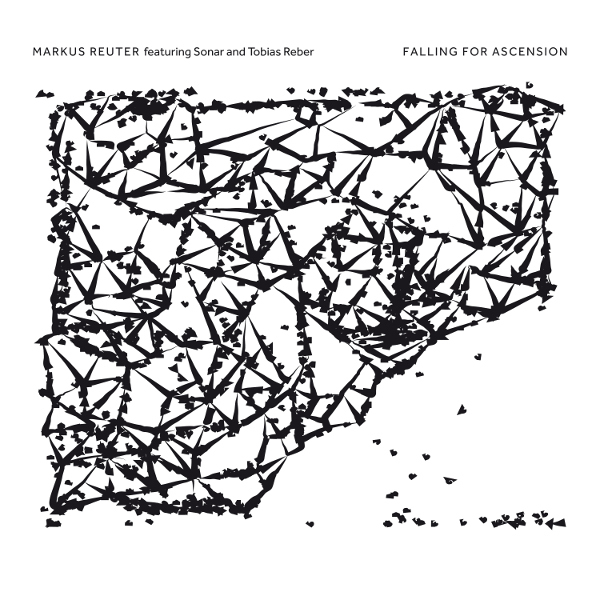 It’s beginning to look like a reviewer could make a full-time job of just writing about the music Markus Reuter releases. Even taking into consideration that many of them are live improvisations like Centrozoon, there’s a lot of them. This particular one is a bit of a different beast than other recent releases. The music is based on somewhat minimalistic patterns on different instruments that are fit together and repeated with different permutations, a technique that was pioneered in rock music by the 80s incarnation of King Crimson. Reuter’s take on it here ventures into more esoteric territory than Crimson ever did, without any concessions to song forms (and certainly no vocal parts). To manifest this vision, he’s enlisted the Swiss band Sonar, and if you’ve heard their minimalist rock, it’s immediately apparent that they are the perfect collaborators for the project. But when playing Reuter’s compositions, they stray from their obsession with C and F#, giving this music much more harmonic variety than their own recordings. Combine this with the composer’s own playing and production, and this is a very satisfying work of art. I suppose that, given the generally understated nature of the music, it could function in an ambient role, and given the lack of hummable melodies, might come off as lacking substance or emotional engagement for some listeners. To some extent, it seems like an intellectual exercise, but for someone who goes in for that sort of thing, it is a gem. And to be fair, there are elements of human expression involved, mainly in some parts that might be called solos (almost certainly Reuter’s own playing) which have a vaguely Frippian tinge and tone. Falling for Ascension is a bit like a halfway point between Stick Men and Todmorden 513 – I’m not going to say it’s for everyone, but it definitely gets my synapses firing.